For the second year, the San Diego Union-Tribune is hosting the Festival of Books at Point Loma Liberty Station. It is a celebration of reading, writing and the important role they play in our lives. The festival seeks to unite book lovers with authors. More than 90 authors are expected to attend the event. There is also a reading stage and activities pavilion for children. The Festival of Books goes from 10 a.m. to 5 p.m. Admission is free but panels are ticketed at $3 each. It’s a celebration of Barrio Logan’s distinct heritage and culture. The second La Vuelta Cultural Summer Festival this weekend features more than 70 vendors, including art exhibits, food and two craft beer gardens. There is also a classic car show, Folklorico and Aztec dancers, and a community arts stage. La Vuelta Cultural Summer Festival goes from 10 a.m. to 6 p.m. Saturday and is free to attend. Here’s a chance for the whole family to get one last hurrah in before summer ends and school begins. 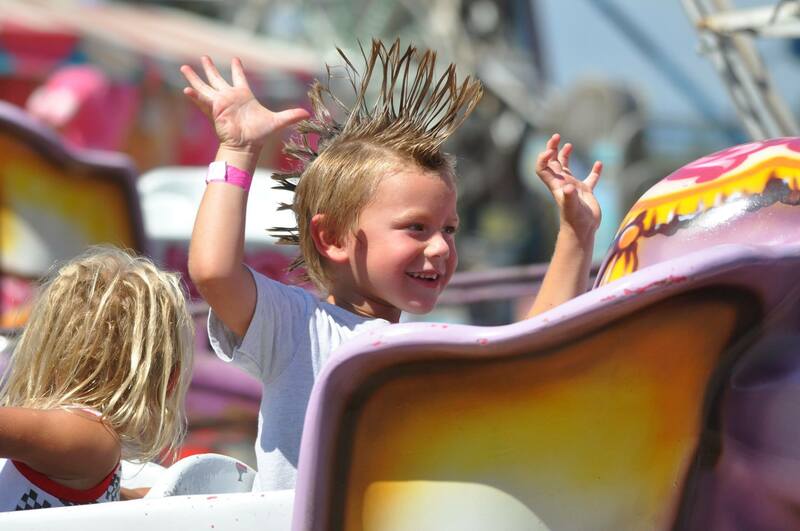 Billed as a real old-fashioned country fair, the 48th annual Ramona Country Fair features carnival rides, games and prizes, “only-at-the-fair” food choices, a stage for live music and entertainment, crafts, shopping and contests for crafters and cooks vying for blue ribbons. There is also a Medieval Renaissance knights performances that feature demonstrations of sword battles and archery. The Ramon Country Fair goes from 5 p.m. to 11 p.m. Friday, 11 a.m. to 11 p.m. Saturday and 11 a.m. to 10 p.m. Sunday. Admission is free but there is a $5 parking fee. Whiskey and bourbon worshipers, tequila aficionados, gin guzzlers, rum radicals and vodka vixens, this event is for you. Billed as the largest cocktail festival in Sandiego, the San Diego Spirits Festival give liquor lovers a chance to sample and experience the finest spirits and foods, with unique opportunities to learn how to create and pair the perfect cocktail and sample top-shelf cocktails from small-batch and big-name distillers. The 10th annual Spirits Festival goes from 2 p.m. to 6 p.m. Saturday and 2 p.m. to 5 p.m. Sunday at the Broadway Pier. Tickets range from $50 to $100. “Yo ho, yo-ho! a pirates’ life for me.” Learn about the history of this and many other sea chanteys (also known as shanties) this weekend at the annual Sea Chantey Festival. For centuries, sailors honed their craft to the cadences of these sea chanteys that recount the adventures, tragedy and romance of life at sea. These songs will come alive again onboard the Star of India, the world’s oldest active sailing ship. The Sea Chantey Festival goes from 11 a.m. to 4:45 p.m. Sunday. Tickets are $18 for adults and $8 for children ages 3 through 12. Tickets include access to all historic vessels and exhibits at the Maritime Museum.